G78 – Use male voices for delivering auditory information. Use male voices for delivering auditory information. Older adults have in general some limitations in hearing of high frequency sounds. Women and children have a higher pitched voice, and for this reason should not be used for delivering auditory information. Male voices are most appropriate to this end. 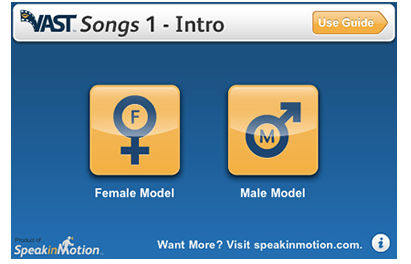 An example of an application with option of the use of a female and male voice. In the case of older users, the male voice is preferable. G66 – Remove unnecessary information from the interface. Remove unnecessary information from the interface. Only essential information should be displayed in the user interface. Irrelevant elements not only may distracting older adults but also may cause forgetfulness of the task proposed. An example of an application without irrelevant information. G65 – Concentrate information on the center of the screen. Concentrate information on the center of the screen. Reducing od peripheral vision is common in the older adults, this impairment may affect the viewing of some details in the sides in the screen. So, information should be concentrate near of the center of the screen. 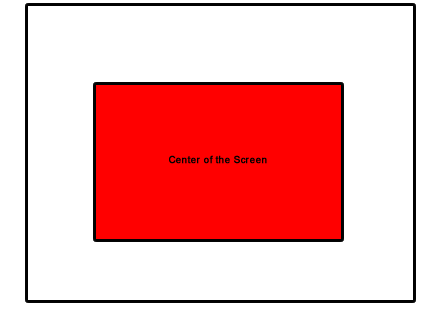 Identification of the center of the screen ( red color) in a user interface as best place to displaying content. Content, Design, Elderly, Information, Layout, Screen.